At the start of 2015, Meryl Streep and Jessica Chastain both spoke out against the ageism and sexism in Hollywood that makes it difficult for older women to land parts. Streep eventually announced she would be funding a new writing lab specifically for women over 40, with Beyond The Lights writer and director Gina Prince-Bythewood, Boyhood associate producer Caroline Kaplan, Legally Blonde writer Kirsten Smith, and Bring It On writer Jessica Bendinger featured as mentors for the program. 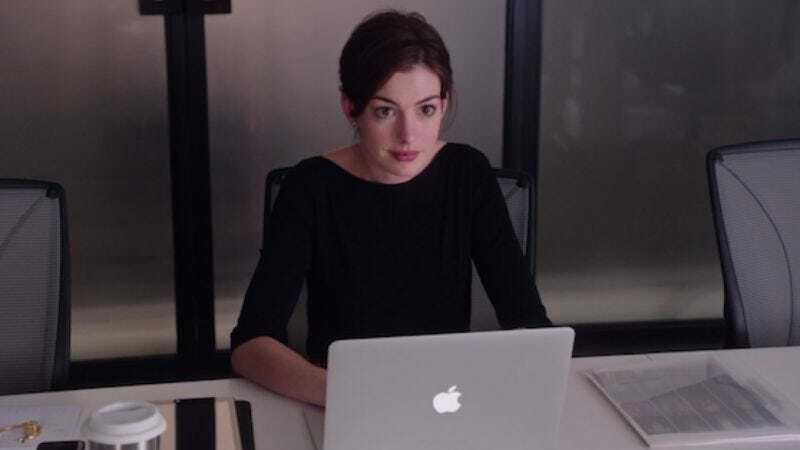 And now Anne Hathaway has become the latest Hollywood actress to call attention to ageism in the film industry: At only 32 years old, she’s already starting to lose parts to younger women, she explained to Glamour. According to Hathaway, she once benefitted from the systemic ageism. “I can’t complain about it because I benefited from it,” she said. “When I was in my early twenties, parts would be written for women in their fifties and I would get them…And now I’m in my early thirties and I’m like, ‘Why did that 24-year-old get that part?’” Hathaway said in her interview that she doesn’t feel like she has a right to be angry. “I was that 24-year-old once, I can’t be upset about it, it’s the way things are,” she said. But even if she used to benefit from Hollywood’s ageism, that doesn’t mean she can’t call it out now that she’s experiencing the other side of it. Perhaps Hathaway is just trying to be overly diplomatic with her response. But despite what Russell Crowe may have people believe, the problem isn’t the fault of women. It’s the result of systemic ageism and sexism, and Hathaway certainly isn’t the first high-profile actress to speak out about it. Julie Walters, Isabella Rossellini, Helen Mirren, and Lily Tomlin have all shared their own experiences with the industry’s ageism. “By the time you’re 28, you’re expired, you’re playing mommy roles,” Zoe Saldana said in 2014. And in one of the more telling recent anecdotes, Maggie Gyllenhaal, at the age of 37, was told she was too old to play a love interest opposite a 55-year-old man.